And it's coming next month. 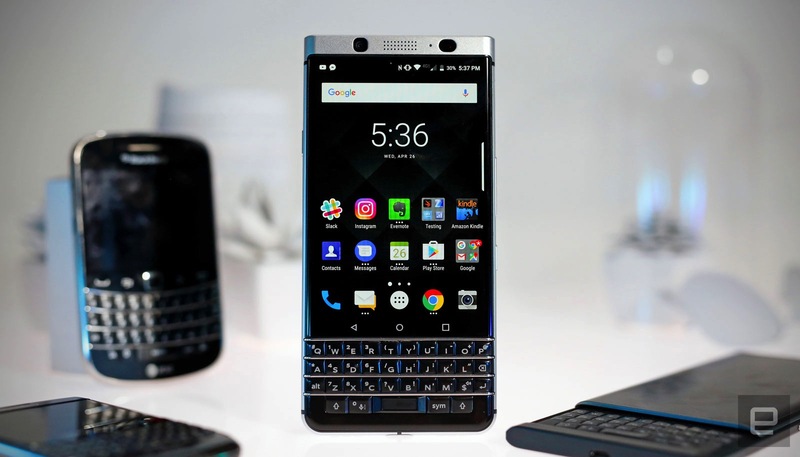 TCL, the Chinese conglomerate that produces phones under the BlackBerry name, is going to broaden its appeal to more than just keyboard devotees. The company has revealed to Engadget that it will launch a full touchscreen device under the BlackBerry name at some point in October. It may not be a Z10, or even a Storm (or Thunder), but if you were looking to get your mitts on a keyboard-free BlackBerry, it's coming. Granted, TCL's DTEK 50 and 60 phones were also all-screen, but this is different. Details are, perhaps obviously, fairly scarce about the as-yet unannounced device, but we managed to glean tidbits from TCL's François Mahieu. Mahieu explains that TCL will respect BlackBerry's reputation for building hard-wearing devices for clumsy international travelers who will be working in all weathers. The main feature, beyond the full-touchscreen, is the (planned) IP67 water and dust-proofing, as well as a battery rated to last for more than 26 hours of mixed use. Mahieu believes that durability and longevity will be two of the biggest selling points, a long-lasting phone that'll keep going long after your iPhone has conked out. Mahieu feels bold enough to claim that he expects a number of iPhone and Galaxy users to "make the switch" to BlackBerry come October. Of course, these handsets now run Android, which means that it's far harder to make it stand out from the crowd. Mahieu continues to believe that BlackBerry's security know-how will enable TCL to deliver the "most secure Android phone in the world." Although given the failure of so many ultra-secure Android devices to sell, his confidence seems — at least right now — misplaced. But TCL is used to combating cynicism with people looking down their nose at BlackBerry in its new after-life as a white label brand. Mahieu said that users shouldn't write off BlackBerry just because it doesn't stand toe-to-toe against Apple and Samsung. "We are there to play," he explained, "we're just playing with different cards," mostly by pushing its strengths of battery life, security and durability. As for pricing, it's likely that the device will cost less than other flagships. Of course, we've already seen a BlackBerry device with a large display unencumbered by a physical keyboard. The Priv hid its physical input device in its slider, and so could actually work as a phone for touchscreen devotees. And given how well that device sold — prompting BlackBerry to abandon producing hardware altogether — it's going to be interesting to see how TCL can avoid history repeating. TCL is banking on certified water and dust-resistance as a draw, and it's not clear how many people were waiting for that as a reason to make the switch. But Mahieu is hinting that the company is "marching towards millions" of device sales, although it's not clear how many models it needs to shift before it can be considered a success. Cherlynn Lowe and Edgar Alvarez contributed to this report.